The German chancellor reaffirmed Germany's intent to fight terrorism after the deadly Manchester attack. BERLIN (Sputnik) — German Chancellor Angela Merkel on Tuesday expressed condolences to the British people over the deadly Manchester attack, adding the incident has strengthened Germany's resolve to fight terrorism. "Filled with sorrow and horror I was closely watching reports from Manchester. It is impossible to imagine that someone uses a cheerful pop concert to kill or seriously injure so many people. I extend deep condolences to all victims and their families at a moment of sorrow and despair. This suspected terror attack will only strengthen our resolve to continue together with our British friends fighting against those who plot and perpetrate such inhuman acts. People in Britain, I assure you: Germany stands by your side," the statement, released by chancellor's press service, read. 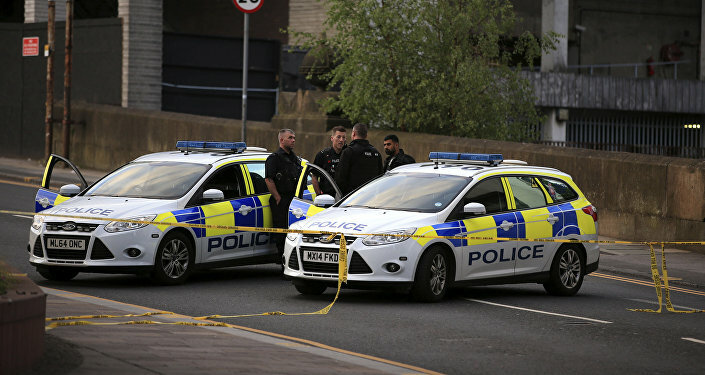 The blast, which the police are considering a terrorist attack, took place outside the Manchester Arena at the end of US singer Ariana Grande's concert on Monday night, leaving at least 22 people dead and almost 60 injured.